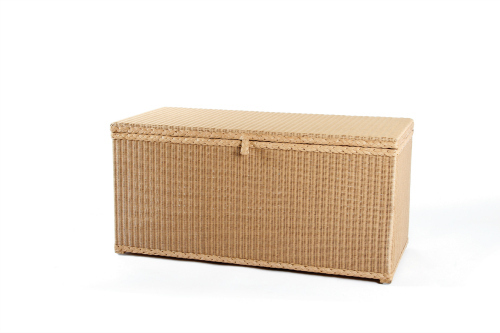 Often known as an Ottoman, the Lusty Lloyd Loom Model 17 is a very attractive and functional linen storage solution. Designed to keep dust out, the Model 17 ´breathes´ helping to keep linen dry and aired. Traditionally placed at the end of a bed, it is now seen as a versatile piece of furniture suitable for use anywhere in the home. Designed by Jim Lusty circa 1930.